When you sit smart... You work smart! 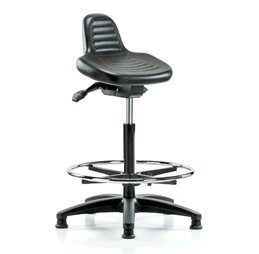 Perch Chairs & Stools is a respected name in seating because their affordable products hold up well to the wear and tear of work life. 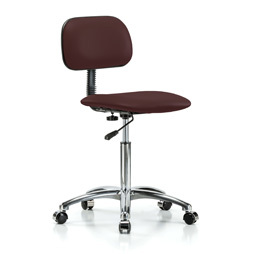 Customize the Perch stool of your choice by selecting the color, caster type, seat tilt options, and other features that are important to you. 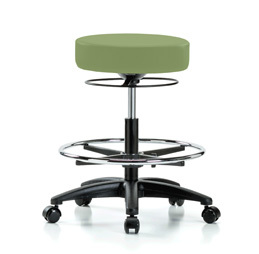 When you buy Perch Chairs & Stools, you get the seating that precisely meets your needs. You Found Your Perch — Get more done with a chair or stool that provides the comfort and support you need while you work. 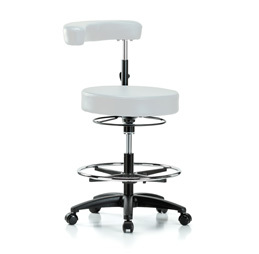 Choose from our selection of ergonomically contoured Office Chairs, Drafting Stools, Cleanroom Chairs, Exam Stools, Sit-Stand Chairs, Procedure Stools and Laboratory Stools. Whether you’re in a clinic or hospital, in a school, at the office or at home, comfort is essential. 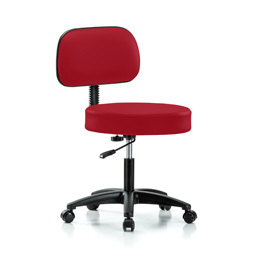 View our chairs and stools selection now. 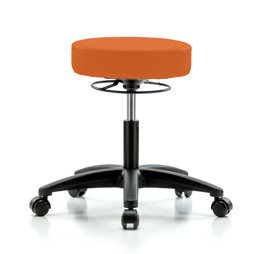 Perch Chairs & Stools offers Free Shipping on all orders within the contiguous US, with no minimum order amount. If you are not 100% satisfied with your purchase, you can return your purchase for up to 30 days from receipt. "I will recommend you to everyone! I purchased your retro exam stool to use while weaving on my large Navajo Tapestry loom. I needed something that would slide across my hardwood floors without damaging them and also keep me comfortable at different heights as I progress with the weaving. All my friends in the weaving studio have tried it out and we all agree it's the best! Thank you so much for your quality of product and service." 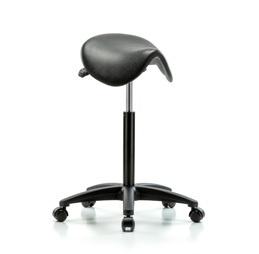 "Your Perch Pneumatic Stool is perfect for my massage practice. The 360-degree adjustment lever is a huge improvement over the hard-to-find lever of the stool it replaced, and it adjusts more quietly, looks great, and I really appreciate the lifetime warranty [on cylinders]. I strongly urge you to market to massage therapists. Thank you for a great product!" "The level of customer service you have showed me is far superior than any of the other on-line companies I have dealt with. I will be contacting you in the future for more chairs." "Your saddle chair SACH1, my physical therapist and I agree: excellent! The chair improves my posture at the workbench and allows me to work longer hours with less pain (from spondylolisthesis). Thank you." "Everyone at Perch was very kind and helpful, sending me swatches of upholstery so I could choose the right color, and being very pleasant in all communications. My stool came quickly, and it is just what I wanted for my miniatures workroom. I'm very pleased, and may order another stool at some point." "I love the stool. It is well made and high quality. I am sure it will give me years of service. 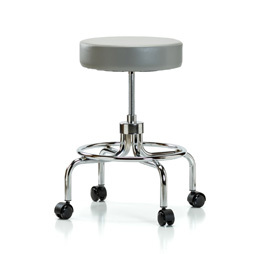 I love the fact that the stool height is adjustable. My desk height is also adjustable. Changing positions periodically while working relieves back strain." "I just love my Perch rolling stool. It is very high quality construction and looks great! It is exactly what I wanted."